If you’re a copywriter or someone who has a large responsibility for content creation at your agency; chances are we just made you cringe. 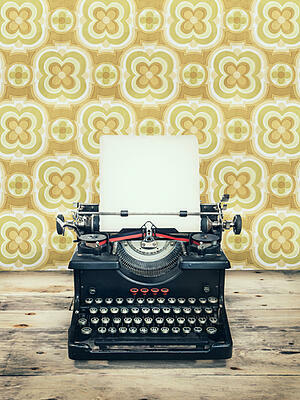 As a copywriter, you want to create compelling, natural content that captivates your reader. One thing that copywriters are constantly battling is the feeling like it is needed to pack writing full of keywords and phrases for search engines. In fact, we should all be embracing keywords with open arms. Why? Simply because they help us appeal to our personas and align the content around what they may be looking for. With this in mind, there is an efficient way to develop content that will appeal to both your personas and search engines. You just need to start thinking about SEO copywriting a little bit differently. Research keywords before you start writing your content! This may already be an essential part of your step to developing content, but if it's not - it's a step you're missing out on. When you have an understanding of what your readers (more specifically, your personas) are looking for before you start writing your content, you can align each topic around that specific keyword; ultimately, giving yourself a competitive advantage in the world of SEO. Ultimately, this will help you take advantage of long-tail opportunities, which are longer, more specific keyword strings that are less competitive than some think like "Marketing." (Think something like, "Best practices for inbound marketing"). If you know your readers are searching “how to build a landing page,” use that phrase as a keyword instead of just “landing page." The more specific you get, the less competition there will be and the more qualified the searcher will be as well. Compile a list of key terms focused on your buyer personas' pain points and think of it as part of your "to-do list" for your copy development process. Use it as a way to generate content and before you know it, plugging in those keywords will become almost effortless. After all, your readers are looking for the same thing that the search engine is looking for. The search engine is merely a tool that is used to find it, like a card catalog at the library. Use it to your advantage. By keeping your content on topic, your writing will remain centered around the keywords and phrases important to your audience. One other thing to remember before hitting 'publish' is to make sure that the structure of your content is scannable. Your readers and search engines are likely to skim your content, so making it scannable will allow for certain, important words to pop out and break up the text. Titles and meta-descriptions are great places to start because they provide a natural areas of use without sounding forced. Plus, this is where both people and search engines are looking for your content initially. If you are writing a blog post about social media marketing there’s no reason why the title should not include these words. It passes the blink test, it appeals to search engines, and it just sounds right. Including these words in the meta-description is the natural next step. It almost seems unavoidable and ensures the reader that, yes; this is what you’re looking for! By including your keyword in the important places on your page, it's not necessary to STUFF them into your content. Search engines have become much more advanced; it used to be that you had to use a work over and over again to point search engines in the right direction. But now, search engine robots have a much better understanding of context and topic. We create content so others can see it, right? How about creating content so compelling that others can't wait to share and link it. Not only does this get your name out there but it builds trust and authority around your topic. SEO copywriting doesn't need to intimidate you! Compile a list of keywords (after you have conducted keyword research, of course) and have them on hand when you're creating content. Aligning your keyword with each blog post will be the best way to ensure that you won't miss a beat. When you're wrapping up your post, take the time to proof it and make a note of where the keywords and phrases landed.